The certainty that Brexit will push living standards lower is not really a forecast- it is already happening. Fundamental economic forces mean that Brexit can only have a negative outcome. Immediately following the referendum the pound fell sharply and has more or less stayed at that lower level since. The 13% decline means that CPI inflation is moving remorselessly higher and will continue to do so. Higher inflation means lower wages and incomes in real terms. People are already worse off, and Brexit has not even begun. On the current timetable negotiations are supposed to be concluded in early 2019. Only at that point will the massive disruption caused by Brexit really begin to take effect. We will see then whether all the car makers stay, or if the Government has to bribe them with our money to stay. In either event we will be worse off. There should be no silly crowing about the probably departure of the banks either. Most workers in finance are not paid much more than average wages (and 165,000 of them are in unions). In all industries where there is deep connection to the EU there are likely to be job losses or contraction, whether these are complex supply chains, key export markets or simply the dependence on the free movement of labour (such as the NHS, hotels, agriculture). The Government has prioritised reducing immigration over increasing prosperity. This too will make us worse off. Migrants are disproportionately workers. Two thirds of EU migrant population are in work, while less than half the UK population is, as they are in school, college or have retired. Reducing them will lower output and output per capita. We will pay the price in terms of lower tax revenues and even worse public services. There is no socialist or even ‘people’s Brexit’. Everyone operating in the UK will still be subject to the laws of the market. The problem will be that the market will suddenly be much smaller and less productive than the EU Single Market the UK has been participating in for the last 25 years. If the Tories continue to get their way, there will also be a stripping away of the workers’ environmental and consumer rights that were instituted under the EU’s ‘Social Chapter’. These have long been a Tory target for abolition in the UK. Post-Brexit, the economy will be operating behind a series of tariff and non-tariff barriers as others protect their markets. All of these will make the economy less competitive and will increase costs. Of course, the pound could depreciate sharply again to offset these disadvantages, but this would lower living standards and real incomes even further. 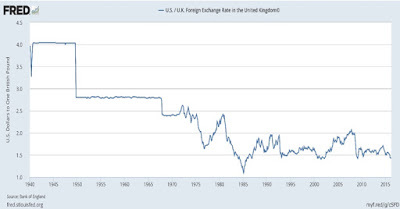 If currency devaluations alone were the answer then Britain would be an earthly paradise. In 1940 there were 5 US Dollars to the pound. Now there are 1.25. Over the same period the relative size of the UK in the world economy has shrunk dramatically in real terms, to less than one-third its proportion of world GDP, 2.3% now versus 7.3% in 1940. There is a widespread notion on the right that Brexit will lead to ‘taking back control’ of the economy. Unfortunately, this is also shared by important sections of the left. It is a delusion. The 1930s saw a whole series of countries taking back control, in what might be called an early anti-globalisation movement. Although the authors of these policies are now widely and rightly derided their arguments will actually be very familiar. It was said that other countries were taking our jobs, they are dumping their output on us causing our industries to fail and that those industries need protecting and government support, or state aid. Once we have done that, then we would be able to trade freely with the whole world. Of course, the more virulent version also included vile invective against foreigners, immigrants, Jews, gay men and others. When the economic policies went spectacularly wrong, the racist invective became policy. The reason these policies failed spectacularly should be clear. Behind the protective barriers, costs rise, potential markets are closed off (especially as they respond with barriers of their own), industry becomes less not more productive, profits decline and workers are laid off. The economic crisis that ensued was finally resolved only by general rearmament. What Adam Smith called the division of labour and Marx called the socialisation of production is actually the most powerful economic force of all. Ever since some of us made the spears and others went hunting with them, we have all collectively benefited from the socialisation of production. Statistically, a key measure of this socialisation are inputs and these grow faster than GDP itself. If a country cuts itself off from world markets, or simply erects barriers between itself and the world then it diminishes its own participation in the international division of labour, the international socialisation of production. Now, instead of being part of an intricate supply chain making cars, there are tariffs and other barriers which increase the cost of production. The UK becomes a less efficient place to make cars and production shifts at some point to the larger market where there are fewer or no barriers. Or pharmaceutical companies importing inputs (biochemical products, electron microscopes, processing equipment, and so on) find they now come with the additional costs of tariffs. As a result of all this, investment is likely to be diverted to the bigger market, the market not burdened with tariffs. This is where the investment returns will be greater. Investment is the second most powerful determinant of growth, after the socialisation of production. The UK will experience lower investment and even that investment will become less efficient, as access to the most technologically developed investment goods becomes more expensive. The UK economy will become a low investment centre of low-cost, low-value added production and wages and living standards will reflect that. So too will public services. If I cut my daily calorie intake in half, I cannot say what my weight will be in three months’ time, but it will be lower. Forecasting a disastrous Brexit is not project fear. It is a certainty. It is fundamental economics. A slightly amended version of this piece first appeared in the latest issue of Labour Briefing (Co-operative). I suspect that we have had the repetitive discussion about the repetitive discussion about the EU. 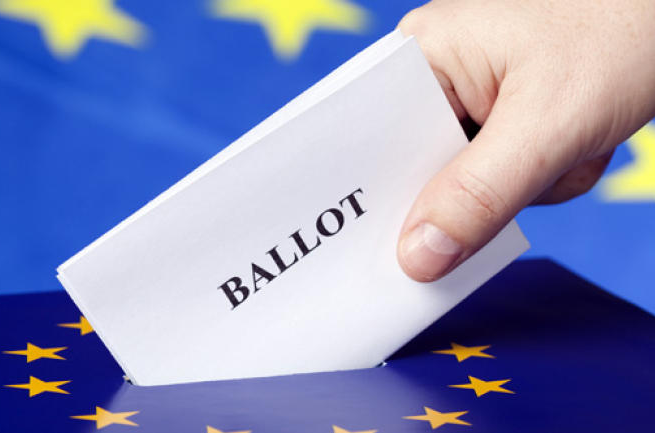 If some of Labour, Liberals and Greens manage to inflict some minor damage on her project: the full withdrawal from the EU and all its tied institutional derivatives, May will seek Parliaments permission (for which all will vote) for a General Election. Hardly anyone outside politics cares much about failed parliamentary opposition talk so commonly referred to as accountability, so it just becomes an irritant for May. It is difficult to see much positive coming from the almost complete demolition of opposition MPs, but Woodcock in a recent article on Prospect has called for the Blair ‘rise up’ to now take place so some may see a way back to a sort of centre stage. Prospect = Progress site of course. Although deeply critical of the EU I voted for remain. I even think that according to the terms of the Brexit deal there could be a legitimate call for a second referendum on the grounds that people could not possibly have known that was what they were voting for. Even so, I fail to see the point of this piece by Tim O’Leary. He may be right that Brexit will be economically very negative but his argument seems to be based on the idea that all globalisation as an extension of the socialisation of production is per se a good thing. This is abstract thinking as its worst. There are different versions of globalisation and there are different versions of the socialisation of production. Indeed there are different versions of protectionism. Each must be judged on its merits and not on an argument based on the idea that they all represent one and the same thing. So for that reason this article seems to me to lack any sort of serious political dimension. One of the difficulties with the argument that people could not have possibly have known what they were voting for, could conceivably be used for every other political election I have known. That is why Parties say so little and in the vaguest terms possible. We don’t argue that we want a vote again because we know it looks ridiculous. It is the nature of the political system that elections are constructed upon creating (false) perceptions of what intentions are. Sometimes elections make claims whereby the opposite of some claims is actually implemented. 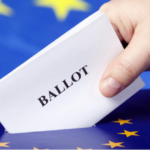 In my opinion the referendum had all the strengths and faults of all elections – combined with a real feeling that it matters, unlike may others occasions. A concern with opposing that which many people believed they were opposing in the EU is that Labour is seen as being in opposition to their expectations of the outcome of that democratic process – remember not everyone is walking around with the sophisticated thought about distinctions between the EU and the internal market and custom union – although some clearly were, amongst those who now want to make the distinction more important now, than they did before. It is inconceivable to me that a major political Party is not seen to be recognising the outcome of that vote – no matter how nuanced that argument is presented. My contention would be that the overwhelming majority knew full well what it meant when they had opted to give it deeper thought, which of course some did not. A concern for me is the complete cynicism of a bulk of our actual and potential supporters about politics in general and this attempted reversal would just feed that. Whilst I cannot recall the turnouts in the recent by elections except to note that they were an appalling embarrassment to Labour as well as to others. It is compounded by the fact that the ‘establishment’ has form on not recognising the outcomes on referendum. In the same way that the Lib. Dems. were branded with the tuition fees claims Labour would (rightly) be mocked relentlessly about not recognising elections results (often by many of its own supporters) and feed the argument about what is the point of voting for Labour. “They don’t respect results.’ Or even worse they are trying to be too clever about why they choose not to respect them. Personally I would relish another go. Based upon the substantial discussions I previously had I would now be confident in my own constituency of turning a 40% rejection of the EU into 55% rejection just based on the ‘you cannot trust that lot – send them a message’, type argument. ‘Whatever you thought before, you need to tell them to respect the verdict now’. I am pretty certain very few of the people I spoke with are going to complicate that discussion with the ‘internal market argument.’ I would say, ‘bring it on’, except that it would crush my CLP who never mustered much pro EU enthusiasm first time round. The more the attempt that Labour people make to try frustrate leaving all the associated institutions the nearer they bring May to calling the General Election that would really show how much appetite for respecting the referendum there really is. I think we could agree that Labour would be pleased to retain 3/4 of its seats. The point about people not knowing what they were voting for is relevant to referenda because they are about a single proposition. Other political elections do not have this form. So I don’t agree with your points on this. The meaning of “My contention would be that the overwhelming majority knew full well what it meant when they had opted to give it deeper thought, which of course some did not.” is not clear. You seem to be saying that the majority who gave it some deeper thought knew what they were voting for (something of a tautology) but not that the majority had given it such thought (which is the real issue). If the majority were to come to the view that the actual terms of exit are not what they wanted then it is hard to see why calling for a new referendum would increase cynicism about politics. Such a majority would not accuse Labour of not respecting results if they had come to the view that the majority in the first referendum had been mistaken/mislead. The idea that a 52% majority, even if it had been based on a mature debate, must be regarded as unchangeable in the light of new circumstances has something of the absurd about it. 1. It is me who thinks most voters think it was a single question, is it not you who thinks it was a complicated matter? Consisting of the interaction of three or four factors (EU membership, internal market, customs union along with possibly up to four other matters (‘freedoms’). Based on my campaigning experience, I would say that people were answering the simple question: on balance do I want the UK to participate or be led by all EU these institutions, given my experience of the consequences, i.e It is in that sense they knew full well what it meant. 2. Why would May want another referendum when she could go the parliament seeking permission for a General Election at a time of her choosing. 3. It is rare for most people not engaged in politics to fully ‘know’ what they are voting for. Much of the activity is unconscious or intuitively derived rather than as we would all like it be – consciously and fully informed and determined. For those not engaged in politics, voting is an ‘on balance impressionistic activity’ full of the emotional, demonstrative, as well as thoughtful attention and last minute spontaneity. If only it really was a thoughtful, considered pursuit…… surely the Left would be in a different place. 4. With specific negotiated terms (vaguely presented and distorted along with falsely presented consequences – at what point do people become ‘fully informed’? Hardly ever? The false argument discussion, impressionistic modelling begins all over again. This is the political system we have and political process of ‘Platonic Greek style’ political discourse does not exist for people with other lives to live. The resentment about our motives is what leads to the cynicism and alienation amongst our potential supporters. 5. As a politico I would be content with such full time engagements with political challenges – but I am one of a tiny, tiny number who really wants that. That is why I say bring it on by all means and I would be content to show reinforcement to the original vote – but Labour beware of the consequences for of the remnant Party who in my experience were unsure and luke – warm first time around. Five answers to “four” points. 1. Single questions on complex matters are never likely to produce clear results. It is certainly not me who is inventing the complications. Just follow the news. 2. Don’t assume that politicians are in control of the political process. On this issue they are all working in the dark. Circumstances can change dramatically in a year or two. Keeping options open is the best policy. (In 1917 Lenin told a meeting of Swiss students “We of the older generation may not live to see the decisive battles of this coming revolution.”). 3. Agreed. It is just a pity that the left in general and the LP in particular level does so little to raise the level of understanding to the level you say (and I agree) is required. 4. You seem to be resigned to working within the parameters of debate that exclude anything other than an impressionistic activity. On that basis any attempt at radical change is ruled out. As Kant pointed out long ago practice without theory is blind. 5. You are confident that the atmosphere surrounding a second vote would be essentially the same as that for the June 2016 referendum. I think life is rather more unpredictable that would allow. But the reality was there was no ‘People’s Remain’ as people voted for whatever reasons against the interests of capital in the EC. US, Japanese etc.TNCs are only in the UK because of stable Government and tariff free access to the 500m EC market and perhaps the £60b of extra quantitative easing pumped into the economy since the Brexit vote has bought the rich and powerful time, as they try to work out what to do. I have mentioned before that according to The New Left Review Obama had given May the hard word about free access to the single market post-Brexit result for the above TNCs but of course Trump possibly changes everything. I was originally for Remain but as a democrat like Labour I accept the Referendum result and perhaps our task now is to get the Best Brexit for working people despite this articles pessimism. Perhaps we will have more freedom (if we can get Labour in) for state led public investment and what perhaps is ours in this country apart possibly from a house and a bit of a garden? So perhaps there is scope too for more democratic public ownership but we need all countries to do the same to kick Neo-Liberalism into the dustbin of history, some suggest what drives it is its search for cheap labour and now in the UK I think we have 12m in poverty pay and 900,000 on zero hour contracts. I have said before we need to read the financial pages of the newspapers etc. to read what is going on and interesting snippet on the Daily Kos today how Trump (Fake Champion of working people) is to ease restrictions on US pharmaceutical companies so basically they can screw US working people more. As capital will be pressurising its friends in Right Wing governments to continue to fight for its interests in the new Post-Brexit scenario perhaps we need to champion the interests of diverse working people here and everywhere. Would you like to try and explain what is absurd about a 4% overall majority in a simple one question democratic vote. All that voted knew the rules before they placed their cross, yourself included. I am not going to spell out the rules of democracy, we all know them, except rule one, ‘if you take part you accept the result’. That is democracy. To say otherwise, that is the absurd position. If you John Penney had beforehand said I will not take part, the question is loaded, this vote is rigged, promises are being made here that cannot be kept, your position now, after the count, would have some legitimacy albeit futile, but you didnt. As you say in an earlier post “Although deeply critical of the EU I voted for remain”. And as we know Remain lost. Because of that your recently acquired faux outrage sounds silly, similar in every way to the wee boy who cannot accept the result of a football match where his team although favourites were beaten fair and square. Taking this simple analogy to its conclusion you are that boy John, you won’t shake hands with the opposition team, you are now having an embarrassing temper tantrum with the referee, your are running around the pitch crying and demanding the game carries on until your team is winning. “Its an injustice” can be heard through the sobbing. Your team mates are embarrassed and just want to get to the changing room, the other side can’t believe what they are witnessing, this is better fun than the game, they are quite happy to hang about a have a right good laugh. There is nothing absurd about a 4% majority. What is absurd is thinking that such a vote must be regarded as the last word. The people of this country voted to put the Tories in power with a much larger margin. We contest that and want to change it. I am experiencing no “faux outrage”. My contributions may be right or wrong but I would be surprised if you could find any evidence of such a “faux” emotion. Much as it pains me to agree with RichardMac, but he is right here I’m afraid David. The EU referendum decision is made, done and dusted. It very much is the last word. There will definitely not be any further EU referendum. See my response to Verity (March 8, at 11:38 am). Your apparent ability to predict the future far exceeds anything of which I am capable. One hardly needs to be a soothsayer to predict that the result of the EU referendum will be carried out. Parliament ordered the referendum to be held, the people voted to leave, Parliament has formally endorsed that decision and yes, my ‘prediction’ is that this will now happen. I also ‘predict’ that Planet Earth will continue to orbit the sun. In response to your former point 4: i.e. “You seem to be resigned to working within the parameters of debate that exclude anything other than an impressionistic activity”. I would say I do not limit myself to the constraints of electoral politics alone. But I do deal with electoral politics as they are presented for my participation, whilst keenly engaging extended political activity. @Verity (March 8, at 1:03 pm). Good, you don’t take what you describe as impressionistic politics as setting a criterion for what can be argued and campaigned for. We are agreed about that. But that renders a lot of your argument above redundant. Correct. I do not believe becoming fully informed can be limited to a so called ‘rational’ debate. The experiences of political engagement (beyond electoral activity of course) is a further requirement to raise participants consciousness of the meaning. But what I do recognise is that we do not live in 1848 and the so we need an arbitrated resolution of difference even where arguments are inadequately formed. Further political engagement in an immediately repeated election campaign constitutes an attempt to reverse the first decision removes that preliminary acceptance of arbitration and does nothing to raise consciousness of meaning. At a practical level it minimises your rights to use that form of arbitration in the future, i.e too many people do not accept your election credentials. In a totally new context I would have no objection to attempts to re-engage with a varied proposition, but not reduced to an attempt at election reversal. O’Leary really must be the worst excuse for a ‘socialist’ writer on economics I have ever had the misfortune to stumble across, and yet despite the constant criticism he gets on here for his liberal tosh he keeps getting the web space – why? Is there no one who can write articles about where the capitalist system is right now, how much it has left in the tank, what socialist policies a future Labour government needs to adopt to start to take it on and what internationalist socialist economics and opposition to the capitalist system looks like in the 21st century? I know that O’Leary is completely incapable of this because clearly he is not a socialist, but I’m sure that there must be other economics writers who are, so why aren’t they given space instead if O’Leary’s insulting liberal rubbish? Ha, I’ve just noticed the tagline that O’Leary’s rubbish first appeared in Labour Briefing – not the proper socialist Labour Briefing that is now part of the Labour Representation Committee, but the right wing version based around Christine Shawcroft after she did a flounce out of the editorial board. It all fits now given that Shawcroft is a key player in the Momentum-Lansman plc coup and the wish to keep Momentum as the useless liberal non-socialist puppet on a string fan-club for JC. I bet O’Leary’s liberal nonsense goes down a storm with that lot! Puzzles me why Tory O’Leary keeps getting published on here. His articles are always universally rejected by everyone as utter right-wing neo-liberal nonsense. No-one ever responds to the criticism – not Tory O’Leary, nor anyone from the LF editorial board. Perhaps whoever makes these decisions just likes to publish Tory O’Leary as a bit of fun? To wind people up? It seems that this is something on which most of us, despite other differences, are agreed. Why does Left Futures keep publishing this stuff? Are there so few economists on the left that TO’L has to fill the vacuum? I don’t believe that. Tom O’ Leary’s articles regularly appear in “Socialist Economic Bulletin”, which is put out under the imprimatur of Ken Livingstone. The other regular writer there is John Ross, so it’s quite likely that he’s associated with Socialist Action. Formally speaking, his arguments are correct. There isn’t a “British Road” out of the EU, or the long recession. But O’Leary never goes beyond writing paeans to “Free Trade”. He never poses the right road, which is to capsize the entire EU “pwoject”. Nowadays the EU mainly defended by German Bankers, French Euro-Socialist poseurs who are feeling the hot breath of Marine Le Pen on their napes. There are also a few Belgian fantasists who want to feel in control of something big hanging on their coat-tails. Britain leaving the EU, is of course, a mortal threat to the whole shebang. So the British Labour party needs to form a new European bloc to rebuild it on a Socialist basis. i.e. not in the interests of German bankers, multi-national companies and NATO, but in the interests of European workers. This doesn’t just mean a few crappy laws on Health and Safety, the environment and maternity leave. P.S.Has anyone ever seen Tom O’ Leary and Michael Burke in the same room? A truly absurd article … words fail me … for once.